Calaveras County is located in California’s gold country in the Sierra Nevada Mountains. During 1850’s, the Calaveras River also went through all the phases of the gold rush associated with mining, population increase, establishment of towns and development of infrastructure to conduct the daily routine. Calaveras means skull in Spanish. The river of skulls or Rio de las Calaveras was named so by the members of Moraga expedition in 1806 - according to them, they saw skulls of Native Americans along the banks of the river; therefore, they named it the Calaveras River. All these towns started out as a rich camp of mining people in 1850’s and became a bustling area of economic growth within no time. They were located on the main road from Stockton, thus it became an important freighting center for the area. About ten miles from Mokelumne Hill towards the fork of the river is San Andreas. It was named so in 1848 by a Mexican miner after the name of Saint Andrew. The old riverbed in this area was very rich in gold. In this town various types of placering, hydraulic mining and dredging all took place as the supply of gold was rich. This area had many Mexican and Chinese miners. In 1848 a camp was founded by Henry and George Angel for gold prospecting in Calaveras County. They were brothers who arrived as soldiers in California during Mexican War. After the war they joined Carson-Robinson party of prospectors and set out for the mines. The camp was named after them. The Winter brothers located an extensive gold-bearing quartz vein near Angel’s Camp. This vein followed Main Street from the Angels Creek up to the southern edge of Altaville. This was another area where gold deposit was high. People settled in this area in about 1849 and this is located on the north bank of the river Calaveras. It was named after the famous singer at that time because it was said that she would come there to perform. This little town was established around the same time like Jenny Lind and San Andreas about ten miles east of San Andreas. This area also had rich gravel bed which was about a hundred feet deep and some ancient river gravels that were several hundred feet above the river. Four or five miles southeast of San Andreas, this town was established around the same time and was in its peak in 1853. A huge stamp mill was built to crush the ore from the newly discovered quartz vein in the area, but before it could start it was dismantled as it was found that the quartz was not particularly rich and it could not be mined profitably. By 1858 almost the whole town was destroyed due to massive fire. There were five major lode mines - the Stickle, Utica, Lightner, Angels, and the Sultana in surrounding proximity of Calaveras River. These came into production after the early placers were exhausted, and miners searched the nearby mountains for hard rock sources of gold. All these mines were in their peak production during 1880’s and 1890’s. It is recorded that by the time hard rock mining was completed one these five mines together had produced massive amounts of gold. This is still a very popular area for gold prospectors to search for gold. Most mining is done the same way that it was done by the early miners, by using gold pans and sluice boxes to find placer gold in the rivers and streams that feed into it. 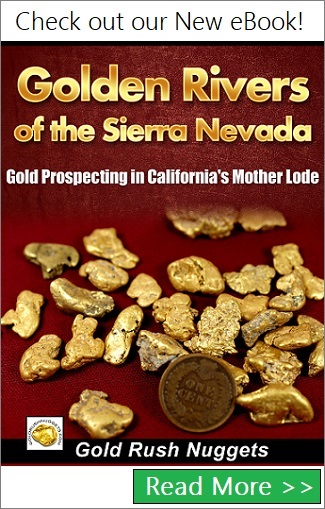 Most waters that flow into the Calaveras River will produce some decent gold as will the river itself. 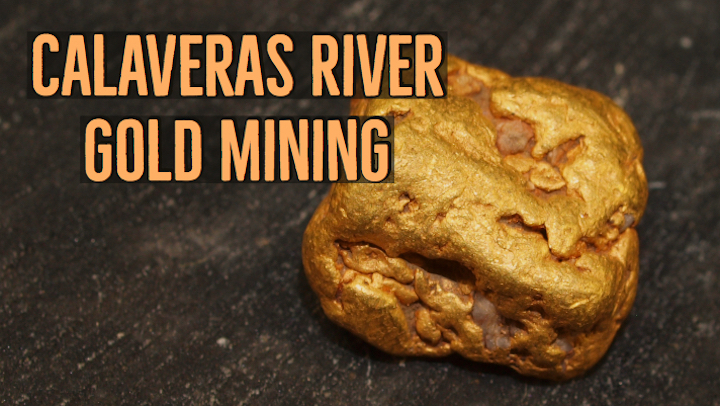 The Calaveras River is in the heart of California’s gold country, and miners can still find good gold here. At the time of this writing, suction dredging is still banned in California, which has severely impacted the amount of placer gold that is being found in the region.